I have been enjoying the podcast of the Top Ten, with John Rocha and Matt Knost. I became a fan of them when they did their show on Collider Video, and I was upset when it was cancelled. Thankfully, it has returned to a podcast format recently. I had considered following along with them and giving my own list for the topic they put forth, but I just had not done so. However, this week’s list was Top Ten movie monsters and this one felt right up my alley. So, thanks to the Top Ten show, which can be found at this link here, I am going to give my own personal Top 10 movie monsters list. The first two on this list are some favorites of mine that are actually in more humorous movies, but since this is my list…. #10. Audrey II (Little Shop of Horrors). I love Audrey II. That plant is one mean, green mother from outer space, and he’s bad. Little Shop of Horrors is one of my favorite movie musicals around and the movie does not work without the blood-consuming plant. Voiced by the late, great Levi Stubbs of the Four Tops, Audrey II had several classic songs during the film. The plant has a great character design and truly just blows into Seymour’s life before he ever knew what was happening. Though it is a comedy, Audrey II is a classic monster. #9. Stay Puft Marshmallow Man (Ghostbusters). “What did you do, Ray?” That line is delivered perfectly by Bill Murray’s Dr. Peter Venkman as they waited for the coming of Gozer the Gozarian. Gozer wanted them to choose his form, and the other Ghostbusters tried to clear their minds. However, Ray Stantz could not do it. Ray innocently thought of something from his childhood that would never cause him pain. Mr. Stay Puft. Unfortunately for all of them, the gigantic marshmallow man had other ideas and required the desperate measure of crossing the streams. #8. Freddy Krueger (Nightmare of Elm Street). Honestly, I have never been a big fan of Freddy Krueger. He makes this list out of simple iconic stature. The concept of Freddy Krueger, a monster who can attack you in your dreams, is a brilliant concept and is clearly why this character has withstood many years and several really bad movies. His iconic nature cannot be debated, and Robert Englund did a tremendous job bringing the monstrous being to life inside your head. #7. Predator. “I ain’t got time to bleed.” Sorry Jesse, but you are going to have to find the time. Predator is one of my favorite Arnold Schwarzenegger movies around and a big part of it is the apparently unbeatable hunter that is the Predator. I am looking forward to the return of the Predator in the rebooted movie series with Shane Black. #6. Xenomorphs (Aliens). These monsters were so cool, that Marvel Comics blatantly ripped them off with one of my favorite Marvel space creature, the Brood. Xenomorphs are so dangerous and creepy and they seemingly can survive even the poor prequel movies that have come out recently. #5. Frankenstein’s Monster. He is one of the most tragic of the movie monsters. It was not his fault that Victor Frankenstein couldn’t leave well enough alone. 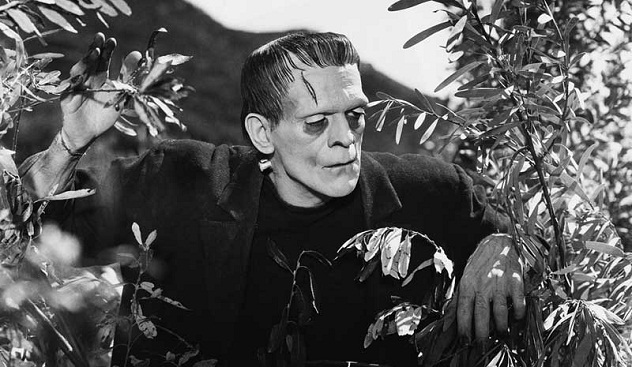 Frankenstein’s Monster did not understand what he was doing when he threw that little girl down the well. He did not understand why the people were coming after him with torches. This character has seen so many variations of him, from Boris Karloff to Peter Boyle to Aaron Eckhart, some great, some not. But Frankenstein’s Monster will always be more than just a monster. #4. King Kong. The giant ape from Skull Island. If only he can keep away from the Empire State Building. Kong is a fantastic movie monster who was also a tragic story. Beauty twas what killed the beast. King Kong has a big future coming as he takes on one of the classic monsters down the road (a certain giant lizard) and because of that, Kong required a bit of an upgrade. Still, there are very few monsters as beloved as Kong. #3. Jaws. One of the best movies on this list. The shark from Jaws was traumatizing for many people who loved to swim. As a kid, I remember being scared out of my mind when the great white shark hopped itself up on to the Orca, which slowly collapsed beneath its weight, and Quint is slowly devoured by the monstrous shark. Spielberg brilliantly uses the fact that the mechanical shark did not work to create amazing suspense by not showing the shark. Jaws is one of the best movies of all time and, because of that, the giant shark belongs on this list. #2. Pennywise (It) This was one of my favorite movies of the year and our new clown had huge shoes to fill. While the old mini series was not a great as many remembered, Tim Curry was unanimously credited as the best part of that series. So Bill Skarsgård had a real challenge, and he just crushed it. 2017’s It was something special. The scene with the slide projector was just about as scary and as intense as any scene this year. Pennywise has a definite chance to be the #1 villain of the year when we have our year end list, but here he comes up with number two movie monster of all time. #1. Godzilla. Godzilla is the King of Monsters. When this topic came up, Godzilla was the immediate character I thought about and I did not think it was even close. Godzilla is one of my favorite movie characters. I remember going to Sunday matinees at the movie theater that saw Godzilla fighting this group of terrible giant monsters, and I loved every second of it. Sure the 1998 Godzilla was a travesty, but I did enjoy the recent reboot very much. In fact, I gave it a pretty high score… and most likely over-judged it because I love Godzilla so much. Still, that hoss fight at the end of the film was everything you wanted in a Godzilla movie. Honorable mentions: Dracula, Jason Voorhees, Michael Myers, Dragon from Shrek, Lord Voldemort, Wolfman, Treebeard. There you have it. The EYG Top Ten Movie Monsters. I am going to try to continue to add my own list after listening to the Top Ten show here on EYG because Rocha and Knost are inspirations for me.